Boston is a wonderful vacation destination four seasons a year. 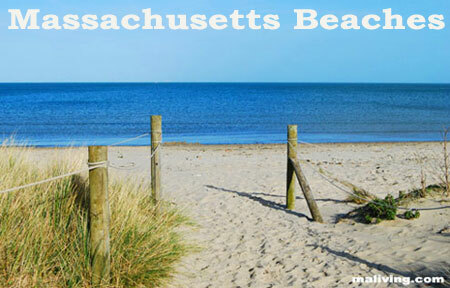 Just outside the downtown area of Boston you can find a few sandy beaches to sink your toes into. In 1896, Revere Beach located 4 miles from downtown Boston, became the first public beach in the country. It is now a National Historic Landmark. To cool off in the summer or take a leisurely New England fall stroll on one of Boston’s beaches, browse the list below, or click on the map to search beaches in another Massachusetts region. Tell us about your favorite Boston beach or swimming hole by contacting us. Learn more about advertising in MALiving.com.